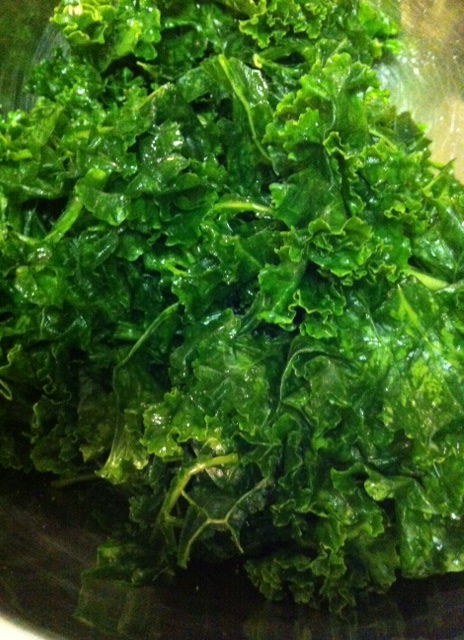 Yeah yeah, kale is soooooo 2013. I missed the boat. I know. 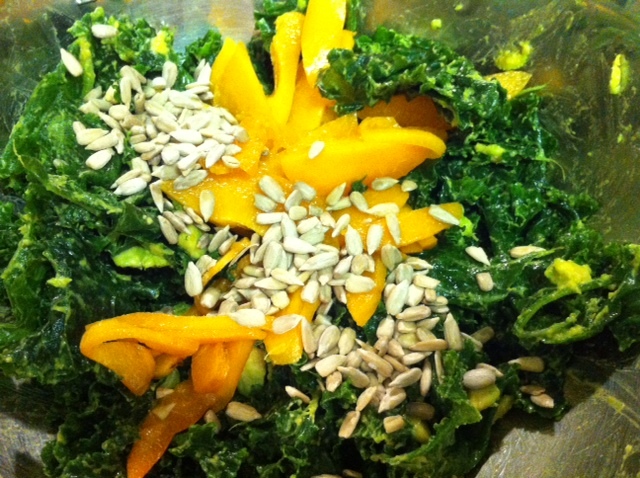 But it’s actually still a really good salad, and seeing as both kale and fresh apricots are in season, it’s worth it. Even if your food-trendiness levels become slightly unbearable when you stat telling your friends about this ah-maaaazing raw kale super vitamin side (eye roll). But what can I say? It’s quick, it’s not terribly expensive, and I like it. SO THERE. And my husband, a man who normally scoffs at a salad if it doesn’t have about a pound of cheese in it, also approved and deemed it worthy to be posted. Take THAT! Also, if you have kids it’s a fun salad to make with them- they can squeeze and rip apart the kale with all their might, and watch it magically transform before their eyes. Pre-massage, very stressed out kale. 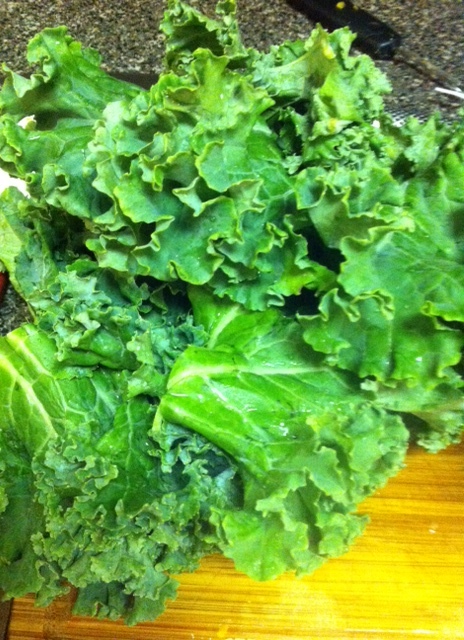 Wash your kale, then remove the thick middle stem. Working with about a handful at a time, squeeze and crunch it up as much as possible, until it softens and turns a dark vibrant green. Add the lemon juice, avocado, salt, and olive oil, and work into the kale leaves until the avocado is mostly broken down. Top with the apricot slices (apple or dried fruit will also work) and sunflower seeds for some crunch.